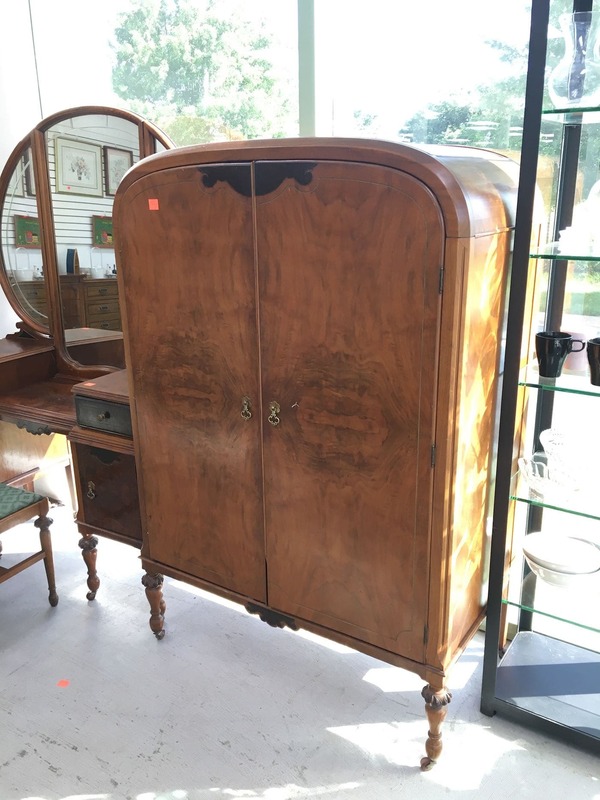 You are here: Home / Thrift Talk / Thrift Haul / Gorgeous Furniture Finds at the Thrift Store! 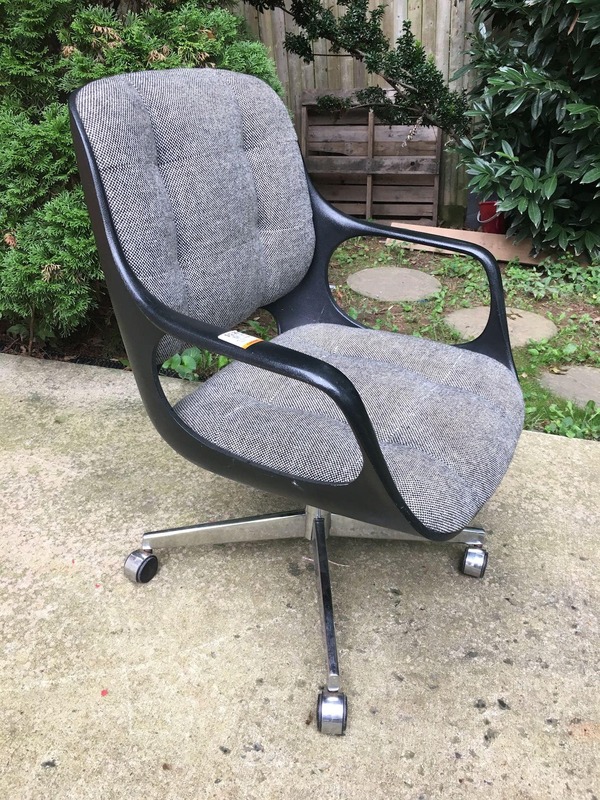 As much as I try not to buy everything at the thrift store, occasionally there are some really special pieces that I just can’t walk away from, like this vintage Chromcraft chair for the office. I had walked into the back of my favorite thrift store and immediately was drawn to it. It had an interesting shape. Walking away is what I’ve become good at while at the thrift store. But this chair was pulling me towards it. 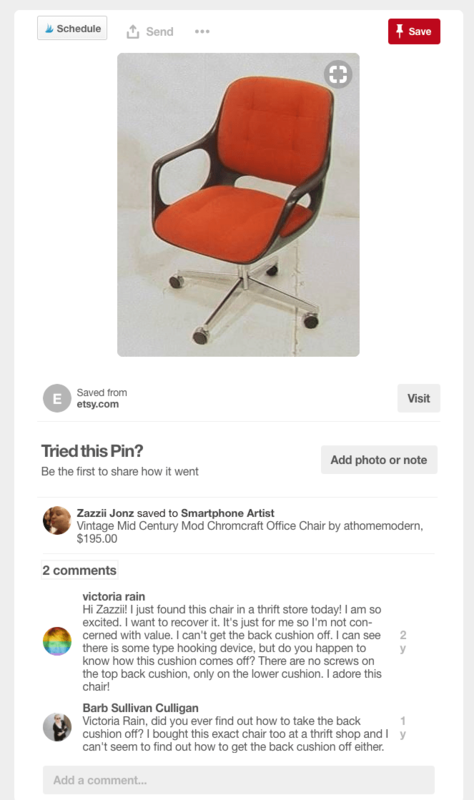 I find that I love mid-century modern style furniture! I couldn’t walk away. One of the true tests of quality (in my opinion) is to lift it up. 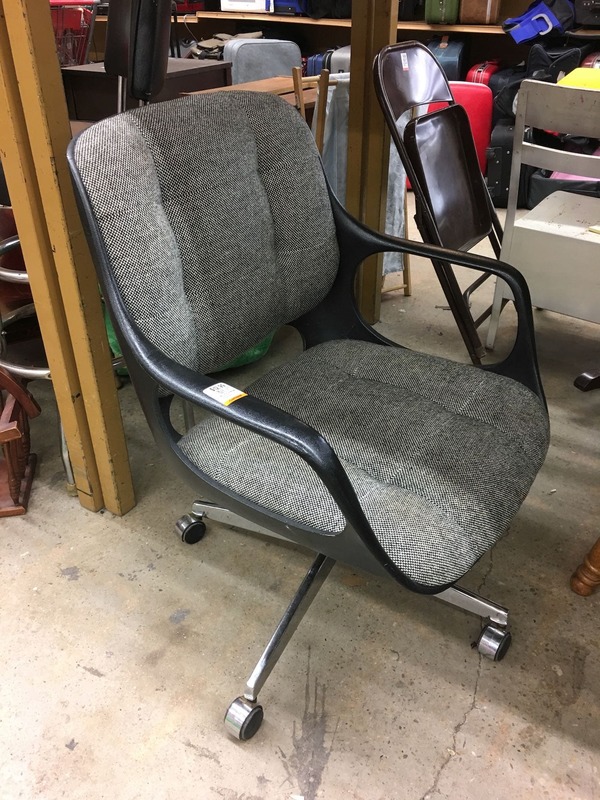 How in the world do you remove the back cushion of this Chromcraft chair in order to reupholster it?? In trying to remove the back, I was afraid I’d ruin the chair by trying to rip the back off (with a crowbar, at that!). 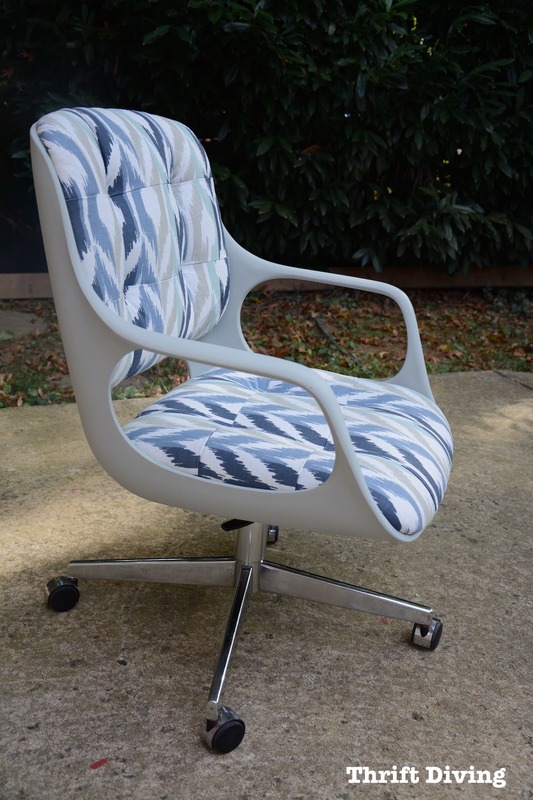 But we all have to overcome our DIY fears and I knew I would never discover new reupholstery techniques until I tried, right? It was in great condition, with the exception of some dirt and stains on the seat cushion. And get this–it was only $12.99 with a 30% discount! I love great thrift hauls like this!! You can the entire transformation of this vintage chair makeover right here. One store I love going to is the ReStore because I feel like the quality of their stuff is generally much better than my usual thrift store. When I get pockets of time to sneak away, I like to just walk through and see what I can find. Some time ago I went to check out their inventory and saw this ah-mazing wardrobe. And this wardrobe, my friends, is good wood! 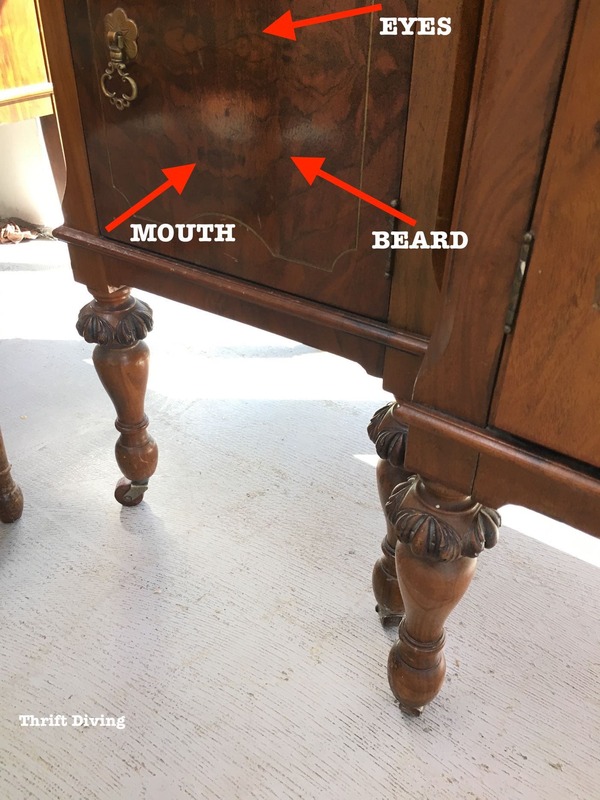 Related: When Should You NOT Paint Wood Furniture? The wood grain on those drawers is soooo pretty. I agree that there’s a place for painted wood furniture, but a piece like this in such great condition, paint would ruin it. And you have to make sure you use the right paint if you did paint it so that it doesn’t turn out shoddy! I loved all the small details, including the original hardware. There isn’t one thing I would change on this wardrobe if it were mine. Maybe a little bit of polishing up to make it sparkle, but it was perfect as is! I wish I remember how much it cost. It wasn’t cheap. Maybe $200? $275…? Doggonit, I wish I remembered! But it would have been worth every penny! Keep Reading: 10 Clever Questions to Repurpose ANYTHING (Even If You’re Not Creative)! The vanity next to it, I don’t know if it was part of the set or not. But it was equally stunning! This is another piece I would be hesitant to paint, but if I did paint it, I would leave the tops natural so you can see that amazing pattern, and I’d paint the black drawers and leave most of the wood! Life has gotten hectic lately, and when that happens, leisure time for thrift diving gets pushed to the wayside. So what have YOU found at the thrift store lately? « How to Reupholster a Wingback Chair: Step-by-Step Video Tutorials! 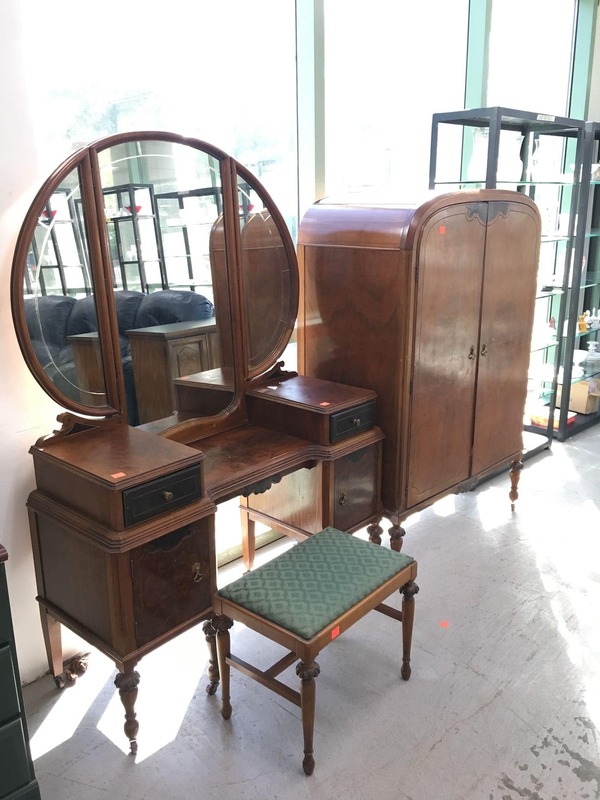 That vanity is gorgeous and I agree, I wound’t paint it either. I think swapping out the knobs for gemstone ones could be cute! Eww! Those eyes in that cabinet door! Nope, couldn’t stand to see that staring out at me! 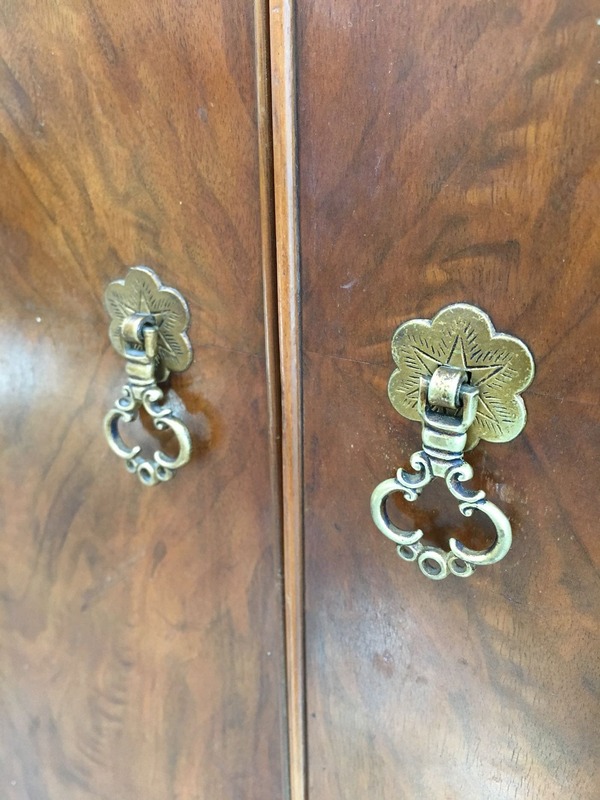 That being said, I have a closet door in my house that looks like a giant…. well, male part. I cant stand looking at it! lol! Those pieces are gorgeous. It must have been very hard to leave them there, especially that wardrobe. And the face is definitely there. LOL. Hubby and I have been to several thrift and junk shops recently. It is so relaxing to just browse and dream. Both of those pieces are gorgeous and I wouldn’t paint at all! I can honestly say that I agree with you. It would be very hard to walk away from those. I hope whoever pick some up totally appreciates them. Well I am not an “artisan cabinetmaker” but I am acquainted with someone who is a really humble and fine cabinetmaker and he says your picture captures it quite nicely and as for me, I think it is so cool you saw, what other’s might not. 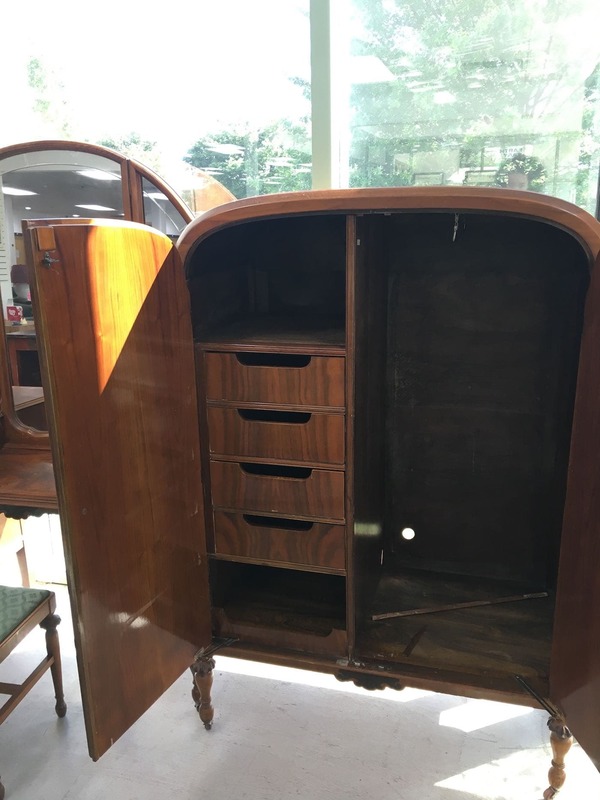 What a wonderful piece of furniture and looks to be in good condition.